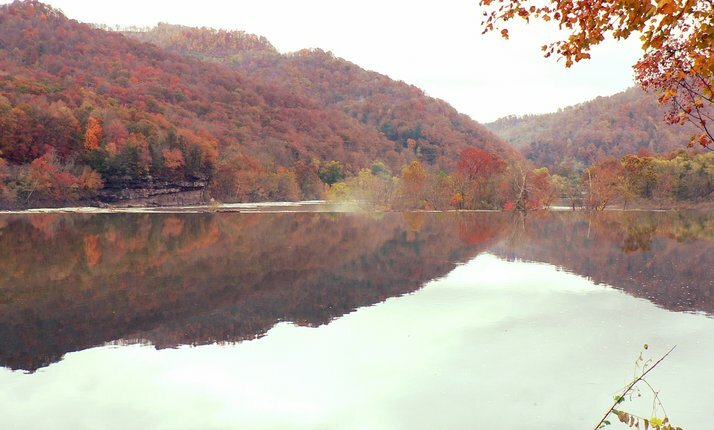 When one thinks of rivers in West Virginia, the Kanawha (pronounced ka-naw-a) would naturally come to mind but perhaps not with the serenity or splendor of the Mountain State's multitude of other streams. Mostly underappreciated, it is immediately associated with Charleston and the urbanized section of the valley in spite of its sparsely populated upper and lower reaches. Saddest of all, some stigma remains from when the valley was heavily industrialized and the Kanawha was a cesspool of waste. Its reputation as a "dirty river" was indisputable and it has taken the improvement over the past several decades in water quality and fish population to slowly erode this image and return to it a level of respectability. 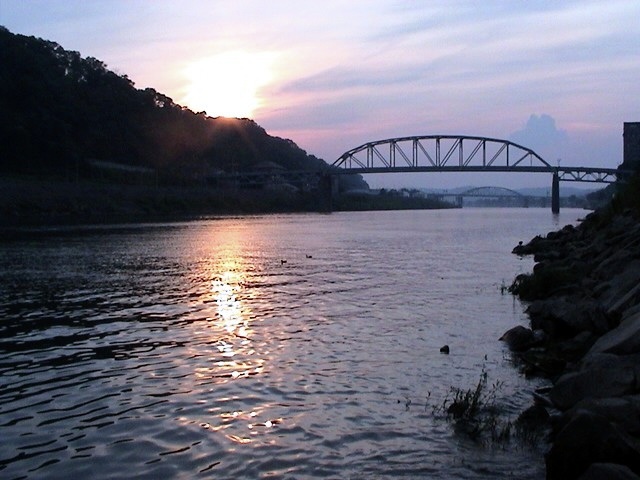 Despite this reputation, the Kanawha was the river of my youth for I spent many a summer day and night fishing its waters or working near its banks. It will forever be a symbol of home even when the day comes that I can no longer go home. All said, there is no stream that I have a greater bond to or affection for than the Kanawha. A modified WV Department of EPA map showing the breakdown of the Kanawha River regions. Selected place names along the river have been added for reference. I'm not sure how the regions of the Kanawha River valley are classified--if at all--- by geology or other science in addition to demographics. I look at the river and valley as having three distinct sections. Upper: From the confluence of the New and Gauley Rivers forming the Kanawha to Marmet. Higher mountains and small towns line both sides of the river. 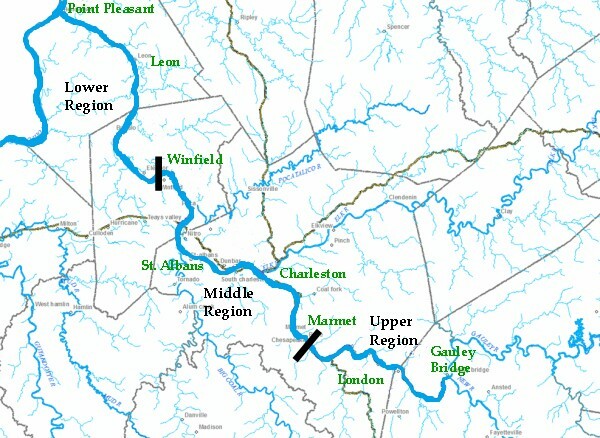 Middle: From Marmet downstream to Winfield. The heavily urbanized and industrial section of the valley. In effect, Charleston, South Charleston, Dunbar, Institute, St. Albans, Nitro to the Winfield Locks. Lower: From below Winfield to the mouth of the Kanawha at Point Pleasant. Small towns and a wider valley with farmland are the hallmarks of this region. 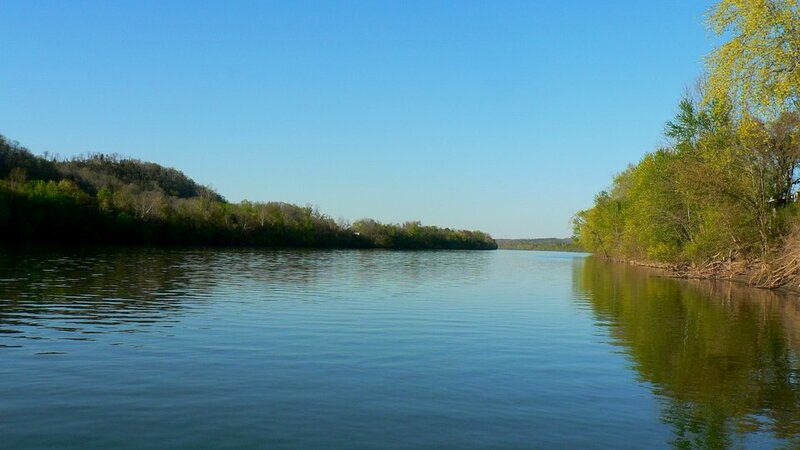 Each of these areas has a uniqueness that highlights the underrated beauty of the river. 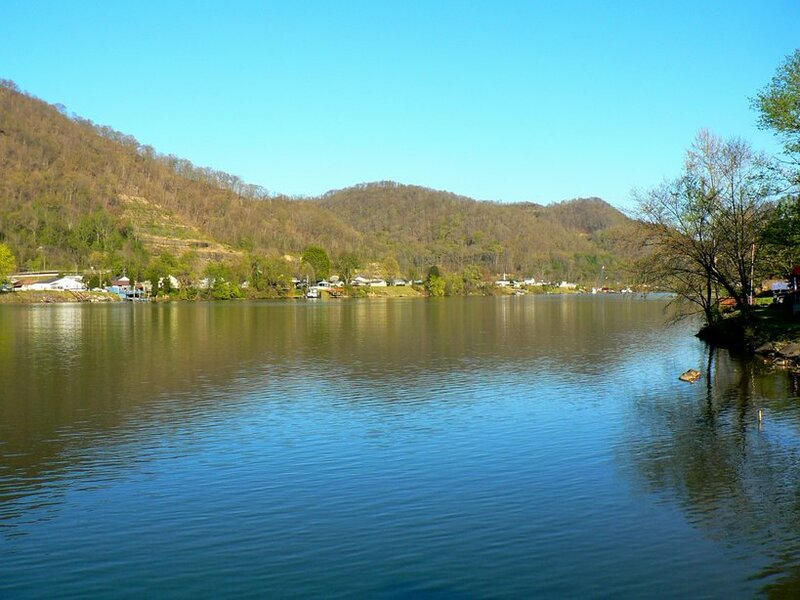 Whether it be the ruggedness of the Upper region near Kanawha Falls, the riverfront of Charleston in the Middle, or even the tranquil farmlands in Mason County along the Lower Region, there are scenic vistas to be seen along the Kanawha. And, yes, carp.....but I only caught those when actually fishing for them and that was usually at night. Not bad for a dead river. For some inexplicable reason, the fishing along the Charleston waterfront dramatically declined during the early 1980s. Family and friends joked that we "had caught all of the fish" but I have my own theory about what happened. It was during this time span that the City of Charleston cleaned all of the growth from the riverbank down to the waters edge in the East End of town to beautify the waterfront. Somehow this adversely affected the ecosystem and the fish populations moved elsewhere in the river. There were still fish there, of course, but not nearly the quantity or variety of only a few short years ago. I have no proof that the removal of growth affected the fishing but it was coincidental. 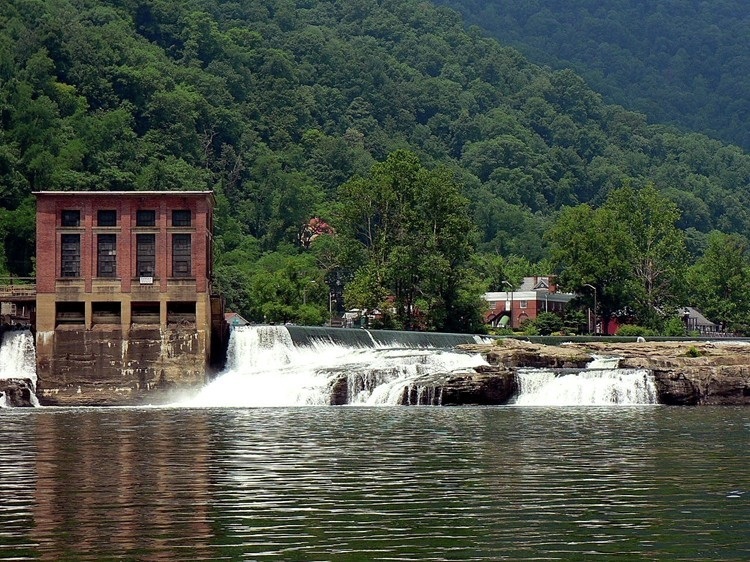 Aside from Charleston, other spots fished in the river were at Kanawha Falls and downstream in the Poca and Winfield area. 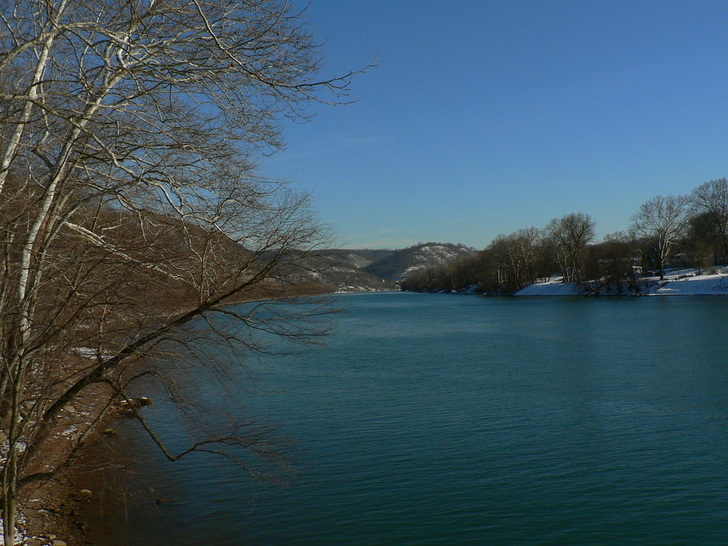 Kanawha Falls and as a rule, the upper Kanawha from its beginning down to just above Belle and Marmet escaped the stigma that the middle and lower parts of the river had received. This stretch of water remained the cleanest except for possibly pollution from mining run off that entered the river by its tributaries. The variety of fish in the Upper section is diverse. The fishing at Poca and Winfield was another story altogether. 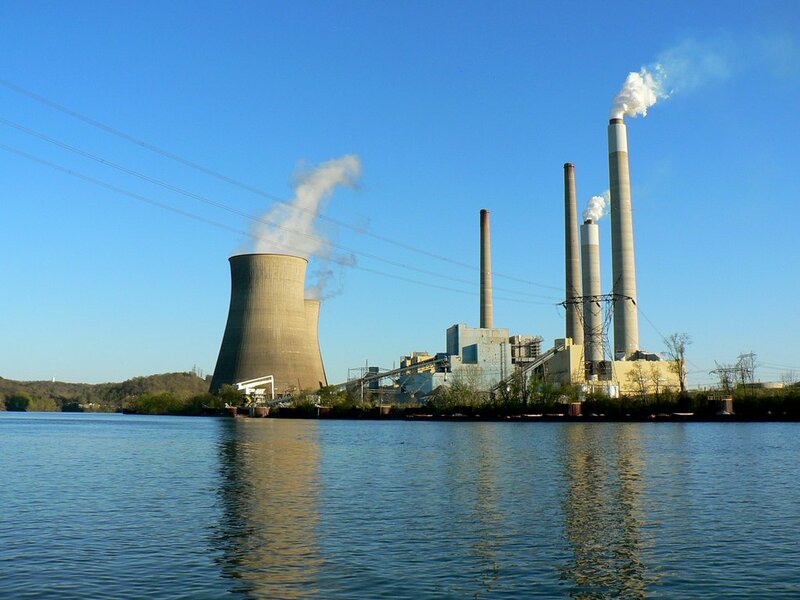 This region is the transition from Middle to Lower below all of the chemical industry that existed from South Charleston to Nitro and at one time, was heavily polluted from the plants that lined the river in that region. WV Department of Natural Resources tests conducted during the late 1960s revealed the river to be virtually dead in this section and on one such test performed at Institute, the level of dissolved oxygen was near zero. The Kanawha was lifeless indeed for it paid the ultimate price for the Chemical Valley prosperity. But despite this bleak diagnosis, by the late 1970s even this stretch of the river had improved. 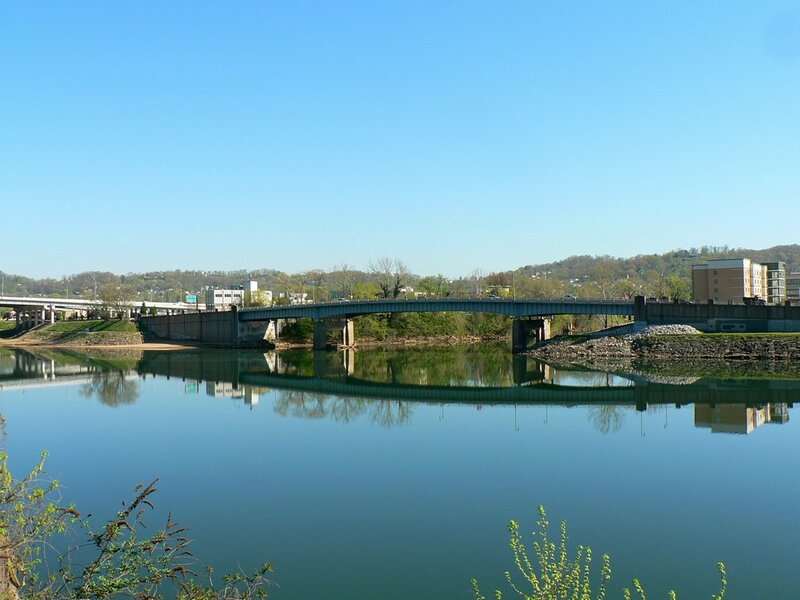 New anti-pollution regulations along with the decline in industry gradually enabled life to return to the Kanawha and the quantity and type of fish that could be caught in this section was pleasantly surprising. On outings to Poca and Winfield, I caught a respectable number of perch, sauger, and an occasional largemouth bass. Panfish, including crappie, were common as well. In the early 1980s, there was news of muskies having been caught at St. Albans. Though this variety of fish is an upside, a dark reminder of the past is still present. The chemical plants in the valley manufactured products that contained dioxin which is a PCB and these contaminates found their way into the Kanawha. These compounds do not break down and become inert without extreme heat. Although the river water has flushed itself of them, these contaminates are present in the river bed sediment and will take many years to be completely purged. There are signs posted in the area below Nitro warning of dioxin contamination and of fish consumption limits. In plain terms catch them but do be keen to these notices. Memories of fishing at Winfield are especially poignant now. 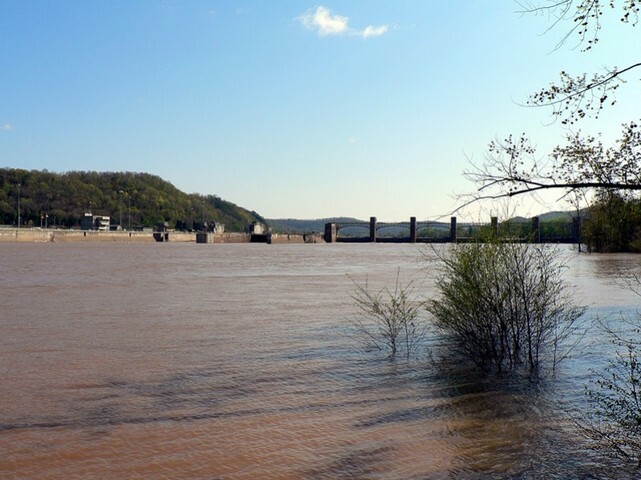 Although my father enjoyed fishing virtually anywhere, he was especially fond of the tailwaters below the Winfield Lock and Dam because of the large catfish. Indeed they were because we pulled sizeable channel cats and flatheads from the river there. I have wondered on many occasions how fascinating it would have been to see the Kanawha in earlier times predating any lock and dam system. In reality, it would have been a physical continuation of the New River with pools and eddies stretched along its course. The most notable feature perhaps would have been the shoals at Red House in Putnam County. 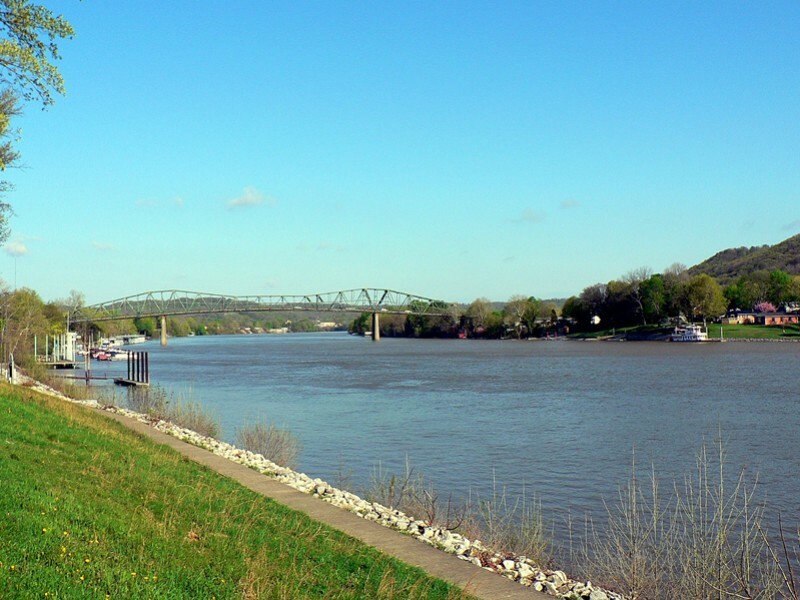 The lower Kanawha River, the region from the Winfield Locks to its mouth at Point Pleasant, is the least known and overlooked region of the river. 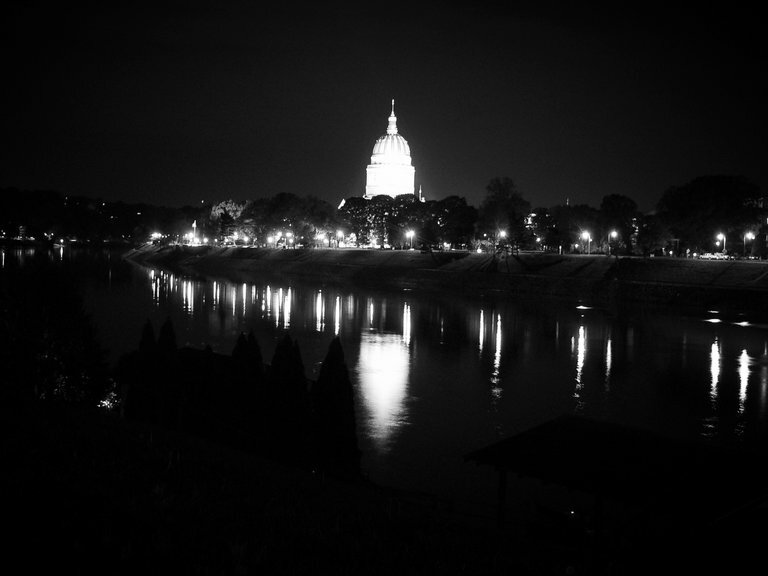 Overshadowed by the upper sector at Marmet to Kanawha Falls and the urbanized middle of the Charleston metro area, the lower river has an allure of its own. Its west bank is predominately farmland---untouched by the industrial development of the 1900s---and its east bank consists of hilly bluffs with both sides of the river dotted with small towns. The mountains have descended to hills and the river projects a beautiful charm here. A generation ago, this section of the river was taboo to the fisherman as it was downstream from the chemical plants. Now with most industry gone and considerably cleaner water, the game fish returned and with them the fishermen. It has been more than twenty years since I fished the Kanawha with any regularity. I read various web pages and try to stay attuned to any news regarding the river as much as possible. Of course, that is no substitute for actually casting a line into the river to know first-hand how the conditions are. Eventually, with the passing of years, I hope to return to spend more time along the Kanawha in addition to other streams within West Virginia that hold a special place in my heart such as the Elk River. Time and circumstances will tell. 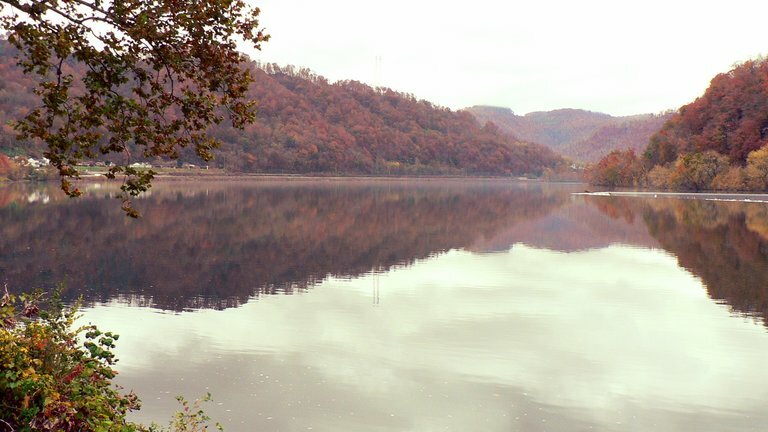 I would be especially interested in hearing from any readers that fish or have fished the Kanawha with any consistency throughout the past two decades just to receive their feedback on the river today. If so, please feel free to contact me through the Visitor page under the Home page menu. Length: 97 Miles. Formed at the confluence of the New and Gauley Rivers at Gauley Bridge. In essence, it is a continuation of the New River with the name simply changing. Deepest points: According to an Army Corps of Engineers report from the 1970s, the deepest point is 47 feet at Nitro. 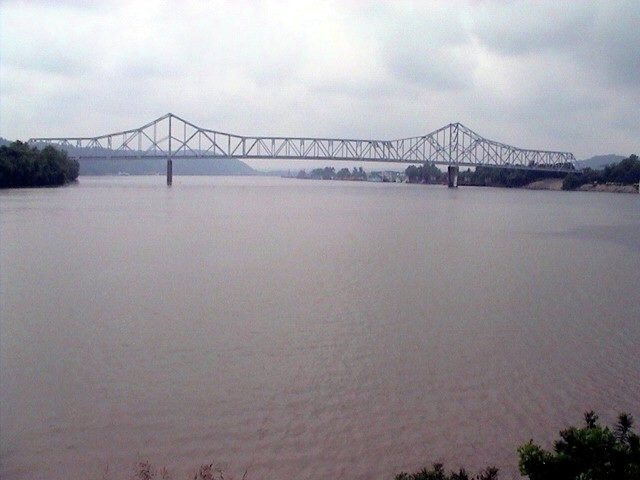 The second is 46 feet at its confluence with the Ohio River at Point Pleasant. Whether any modifications to the river channel or water levels from the new locks at Gallipolis and Winfield has affected these numbers I do not know. Other points noted above 40 feet in depth from the report are two at Charleston and another above Marmet. Navigable for commercial barge traffic from Point Pleasant upstream to Deepwater. There are three lock and dams on the river: London, Marmet, and Winfield. The Gallipolis Dam on the Ohio River pools the Kanawha upstream to Winfield. On June 15, 2016, my nephew, Andrew Perfater, passed away after a courageous five year battle with cancer. 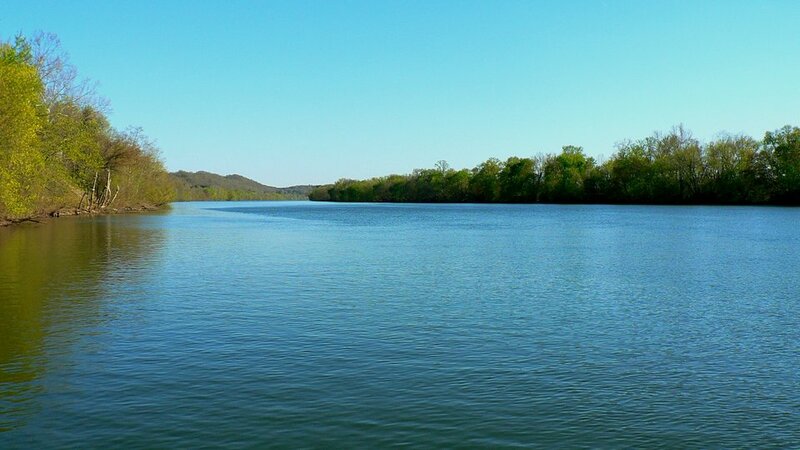 Andrew loved the beauty of the Kanawha River and especially in the Kanawha Falls region. It was my privilege to enjoy this splendor with him as well as together fishing its waters. This page is dedicated to his memory.